If you have visited a medical spa or other type of aesthetic service provider, you may be familiar with the term “microdermabrasion.” Microdermabrasion is a non-surgical treatment in facial rejuvenation. It relies on fine crystals and vacuum suction to painlessly remove the dead skin cells from the top superficial layer of skin, revealing a healthier, brighter and softer skin tone underneath. Microdermabrasion can be done on a periodic basis, much like a facial or chemical peel. Microdermabrasion, however, should not be confused with dermabrasion. The two procedures are very different and even used for different purposes. While an esthetician may perform a microdermabrasion, a dermabrasion should be done by a certified dermatologist or plastic surgeon. Dermabrasion involves a procedure in which the top layer of skin is surgically scraped. This produces controlled skin damage involving the deeper layers of the skin. As the skin responds to the wound and heals itself, it forms a smoother, more cosmetically pleasing layer of skin. In result, the changes are more substantial compared to the transient improvements with a non-surgical microdermabrasion. Who is a Candidate for Dermabrasion? Due to the more invasive process of a dermabrasion versus a microdermabrasion, it is imperative that you choose an experienced and qualified provider. 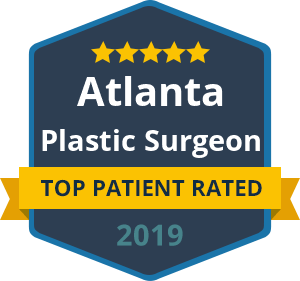 A board certified plastic surgeon, such as Dr. Ben Talei. He carries the knowledge and precision it takes to ensure your dermabrasion results are what you had hoped for. Unlike microdermabrasion, dermabrasion requires anesthetic as well as specific post-operative instructions. To learn more about dermabrasion for wrinkles or acne scars, call our Beverly Hills office today.